I thought I would make these two pictures available to start making more of the Andra/Wanner line available online. I do not know who the couple in the middle are above, but the other four individuals I do know. Mary and Willard are siblings. Gladys Laverna “Verna” Thompson (1902-1985) married to Willard Wanner. It is believed that this photo was taken on vacation in Queen Creek, Maricopa, Arizona. 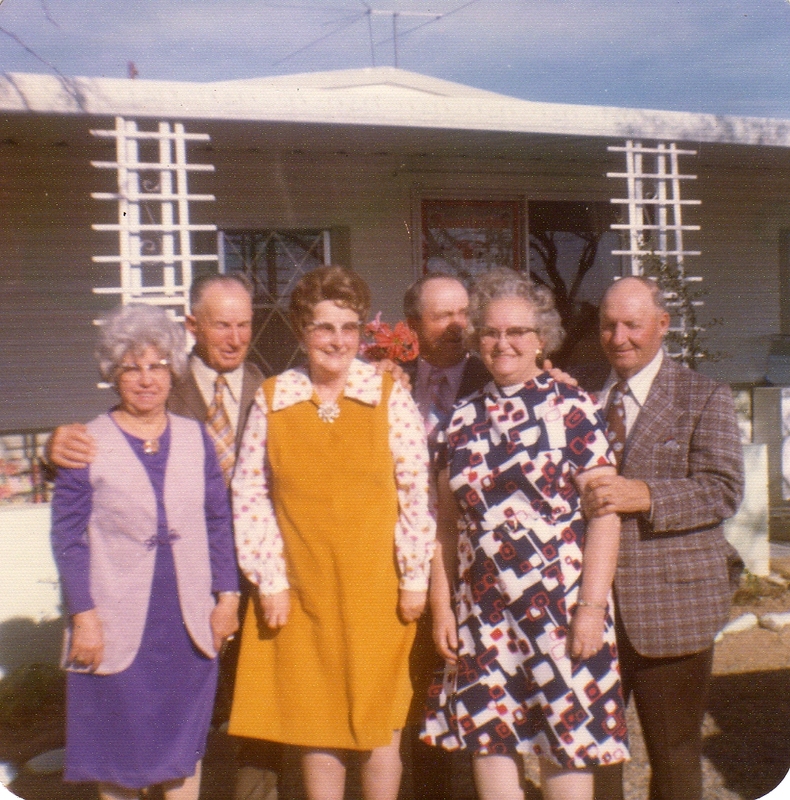 Mary Andra, Unknown Couple, Verna Wanner, Bill Andra, Willard Wanner, Norma and Kenneth Bodrero, Wilhelmina Bodrero. The four people in this photo I know are the same as above. Hopefully I can get some more by putting this online. But since it is the same people, you can reference above for information. This photo is also believed to be in Queen Creek. Kenneth LeGrand Bodrero (1915-2007) son of Wilhelmina Bodrero. Wilhelmina Wanner (1887-1991) mother of Kenneth and aunt to Willard Wanner and Mary Andra. This entry was tagged Andra, Arizona, Bingham, Bodrero, Queen Creek, Thompson, Wanner. Bookmark the permalink. The last three of the second photo? 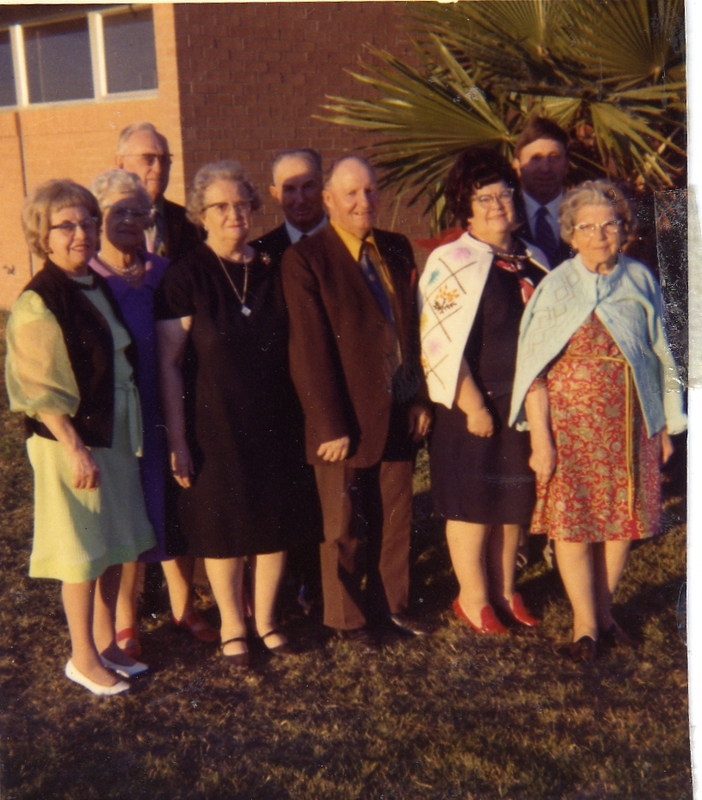 Norma Bingham Bodrero, Kennith Bodrero, Then I think the last one is Ken’s mother Wilhelmina Wanner Bodrero? Rex Bodrero of Hyde Park, UT here. Yes, you are correct about the last three in the second photo. I am a grandson of Wilhelmina and nephew of Kenneth and Norma. I do not know any of the others. Kenneth and Norma Bodrero are my parents and Wilhelmina Warner Bodrero is my grandmother. Stephen Balls of Hyrum, Ut. I am also a grandson of Wilhelmina and nephew of Kenneth and Norma.